The Guest Room Audio System is a pre-engineered family of modular products that adds convenience to guest room audio entertainment. This modular system adds luxury resort features to each room or suite at an economical price. It is simple to install and provides guests with practical features they can easily operate and will want the next time they travel. 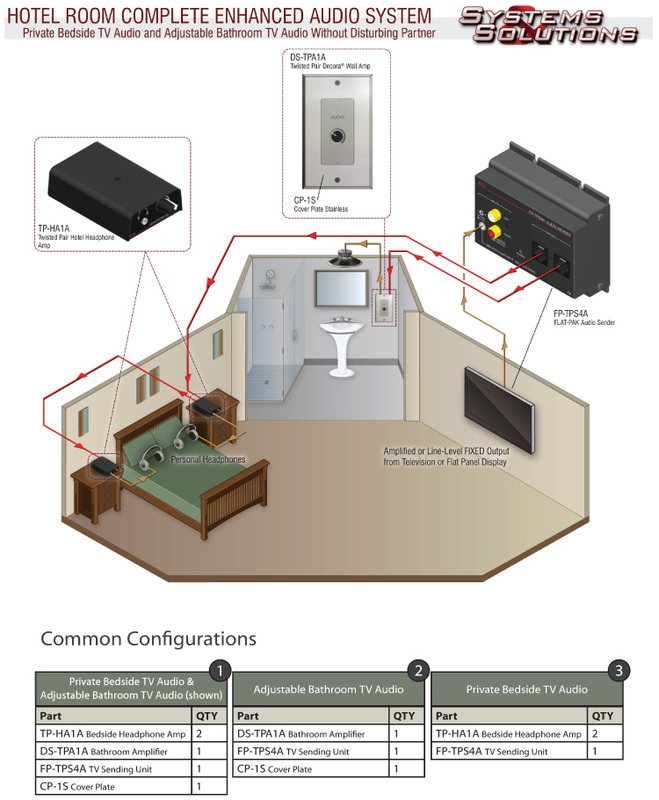 This system allows a guest to watch and listen to the TV while their partner sleeps. It also allows a guest to listen to TV audio in the bathroom, even if the sound is muted on the room TV. Guests will appreciate and remember the advantage of using headphones to watch the TV or movies while their partner can sleep. It will be natural for them to listen to their favorite morning program in the bathroom while preparing for the day. The RDL system builds customer loyalty and appreciation from a small initial investment.